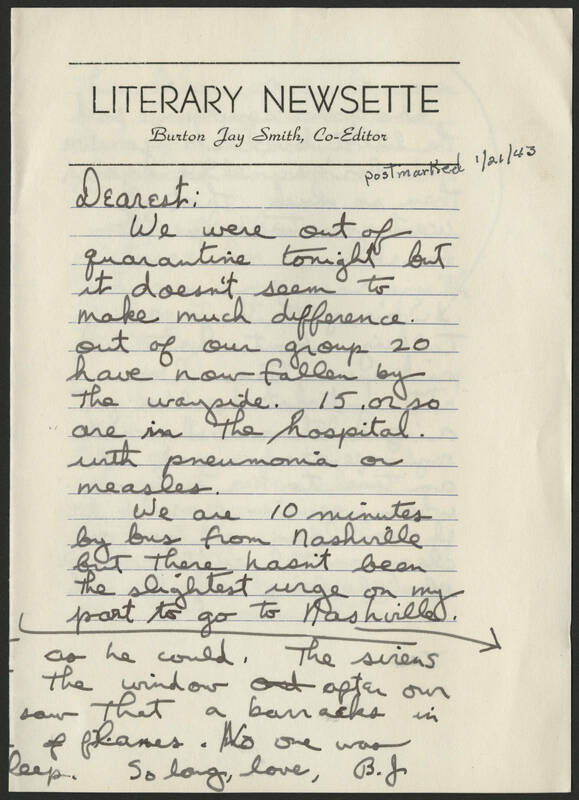 Postmarked: 1/21/43 Dearest: We were out of quarantine tonight but it doesn't seem to make much difference. Out of our group 20 have now fallen by the wayside. 15. or so are in the hospital. with pneumonia or measles. We are 10 minutes by bus from Nashville but there hasn't been the slightest urge on my part to go to Nashville. so he could. The sirens the window after our saw that a barracks in planes. No one was So long, love, B.J.